These days, open concept living is more than a trend -- it's what most of us want in our own homes. The unbroken expanse of space flowing from room to room has the effect of making communication and sharing effortless, not to mention what it does for the quality of natural light throughout the home. 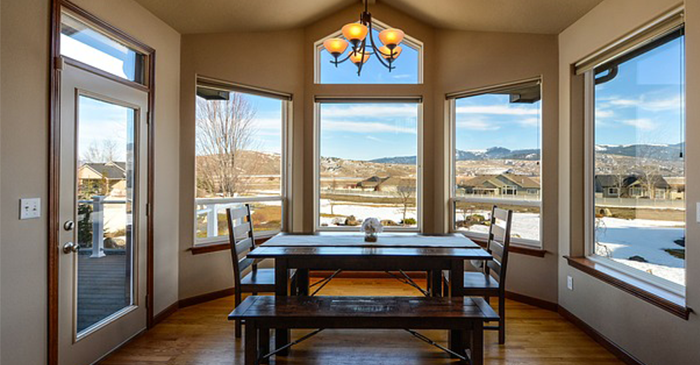 Speaking of natural light, that's another attribute savvy buyers are looking for in their homes. Research has shown that it has a positive effect on our mood, and views of the landscapes we so carefully cultivate and enjoy are a bonus of having lots of windows. If we're honest, windows do have their limitations. They're framed, for one thing, and that blocks some of the light and some of that view of our flower beds, lawns, and trees. 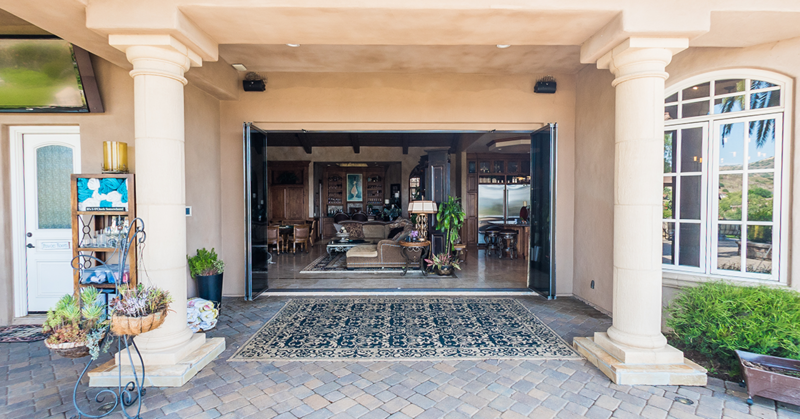 In other words, the transition from inside to outside isn't exactly a seamless one, which is many consider replacing standard glass window with an "open concept" product. Then there are the open-and-close mechanisms. Sometimes they stick, and whether they're double-hung windows or sliding ones, you can never get the effect of the whole window being wide open when you'd like it to be. There's always going to be double the glass on the top or to one side spoiling the effect. Think about how beautiful a frameless glass shower door is. It makes your bathroom look clean, modern, and cohesive and doesn't break up space the way those old sliding glass shower doors did. It's also so much easier to keep clean, both inside and out. Don't you wish you could have the same effect with your home's exterior doors and windows? Here's are four reasons you should replace your standard glass windows with Cover Glass, USA. Imagine having clear, unobstructed views (and access) to the great outdoors without the bulky frames that surround most doors and windows. With the Cover Glass system, you don't need to imagine or dream about that, because it's here and it's real! Our frameless -- yes, frameless! -- glass door and windows systems will instantly transform your home, blurring the line between inside and outside, and taking your open-concept home to brand new heights! Cover Glass window and door systems can make your home feel like an oasis in the middle of nature, flooded with light and operating like nothing you've ever experienced before. The engineers behind the Cover Glass system have come up with a innovative solution for opening and closing our windows and doors -- one that doesn't rob you of any of your precious floor space. Our unique system freely slides and stacks at a 90˚ angle on the side, either to the outside or the inside and to the left or the right, so you can get what works best for your unique space! (How's that for versatility!) Even better, each panel takes up only 1 inch of floor space when stacked, which means that instead of the typical small opening you get with a standard door or window, you get a huge opening, affording you much better access. Just in case your next question was going to be about security, rest assured that Cover Glass is entirely safe and secure. Tempered glass ensures that the stray golf ball from your neighbor's yard won't come crashing through the window or door into your living room! 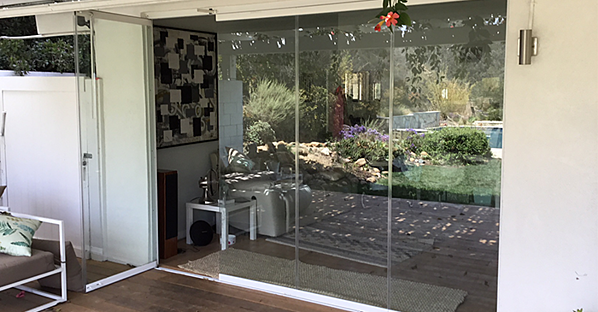 Cover Glass is laminated, so it's not only safe, but it's also an effective sound barrier for those days when you want to shut out the noise of the outside world and enjoy its beauty. We foil would-be intruders as well with panels that lock from the inside only (unless you want the ability to lock them from the outside), and panels that cannot lift from their tracks. That makes you and your family safe and secure, just the way you want it! Who doesn't want to enhance the value of their home? After all, you may not be living there forever. Circumstances change, and people move all the time. By adding Cover Glass frameless windows and doors to your home, you're not only investing in that coveted "WOW" factor; you're optimizing your open floor plan by creating unobstructed views and more livable space! What potential buyer wouldn't love that? Why not contact us today to learn more about the Cover Glass System, including how the fast and easy installation is? It's one the home improvement investment you'll never regret making, we promise! Would you like a free customized quote ?